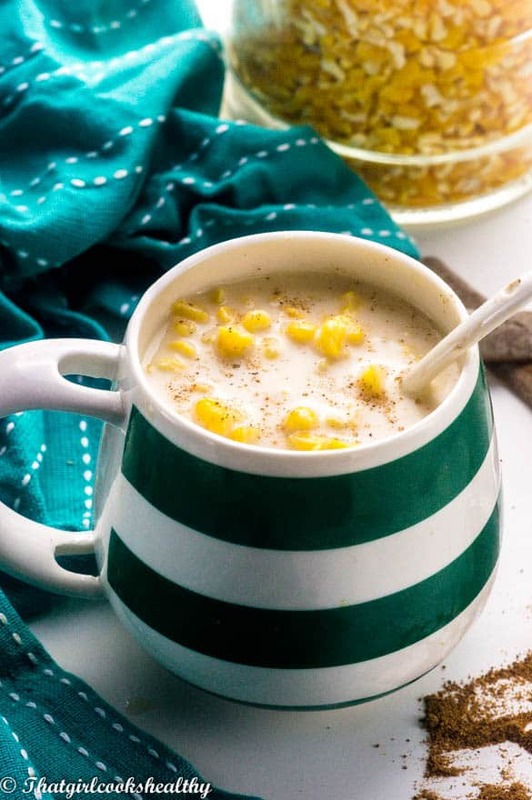 Chicheme – Bring some Panamanian flare to your household with this vegan style sweet corn drink called chicheme especially nice to sip on during the harsh winter. I am so excited to share this tasty recipe with you all today. You’re probably wondering why that is, well as you know I specialise in showcasing recipes which are gluten and dairy free while tapping into my Caribbean heritage. Well as you know the word “Caribbean” is an umbrella term, which constitutes are large number of islands, situated between north and south America. Most of us are familar with the more notable islands such as Jamaica. Cuba, Haiti, Bahamas, Trinidad and Tobago, Barbados just to name a few, however, there are a few countries near by the aforementioned places which share some of that Caribbean culture – Belize and Panama. Although the primary language in Panama is Spanish due to its colonial history. A large number of the Panamanian population come from various Caribbean islands. Many of them went to Panama between 1850 – 1880 to build the railroads and the great canal. After the completion of labour, the vast majority of islanders decided to stay and seek residence in Panama which explains why certain regions speak creole along with the similarities in a number of cuisines. I thought I would give my lovely readers some insight into the history of Panama and how it links into the Caribbean although it is geographically separate by location. 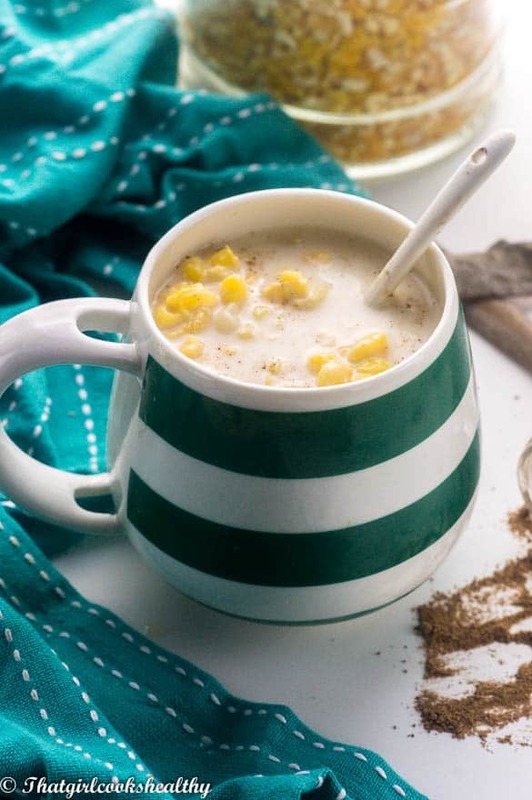 On that note, let me introduce chicheme – a sweet corn drink made from hominy. Hominy is dried maize kernel treated in lye or lime (from limestone not the fruit). Please note that you cannot eat hominy raw it has to be cooked. Interestingly, you’ll find cultural cuisines such as Mexican Costa Rican and the Caribbean itself which eat this type of corn. Is Chicheme the same as hominy porridge? No, not quite although in Jamaica hominy is used to make porridge, so this recipe reminds me a lot of what I grew up on. The main difference between the two dishes is the texture. Chicheme is a thin cold corn beverage, not watery but definitely not thick either well as the corn porridge that I grew up on is thickened with flour/starch. Is Chicheme free from dairy? My version of chicheme is vegan so I omit the use of cow’s milk. There is no vegan replica (as far as I know) for evaporated milk, depending on the recipe, you can easily use this condensed coconut milk which is what I did. The colour of the drink will darken a little but the results are the same. I know so many people of Caribbean heritage or simply an avid lover of Caribbean cuisines who are dietary restricted and want to enjoy their favorite food and beverages that are foolproof. I would say this chicheme is foolproof I only tweaked two ingredients to achieve the same results. How long does the hominy corn take to cook? In total it shouldn’t take more than an hour for the hominy to soften thoroughly. 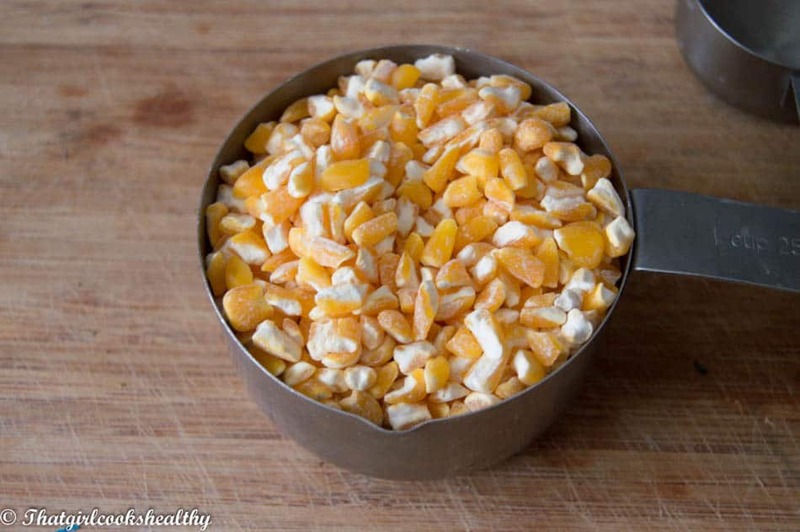 Use a spoon to determine its readiness by crushing some of the corn with the back of a spoon. Make sure the chicheme is nice and chilled prior to serving. Store any remaining drink in the refrigerator. Rinse the hominy several times in warm water to release some of the lye/lime before finally placing the hominy in a large bowl with water (not the 6 cups) and soak overnight. The next morning drain off the water and rinse again. Pour the hominy into a medium size saucepan with the 6 cups of water along with the cinnamon sticks and pink salt then bring to a boil. Reduce the heat to medium-low, cover the saucepan with the lid and allow to simmer. 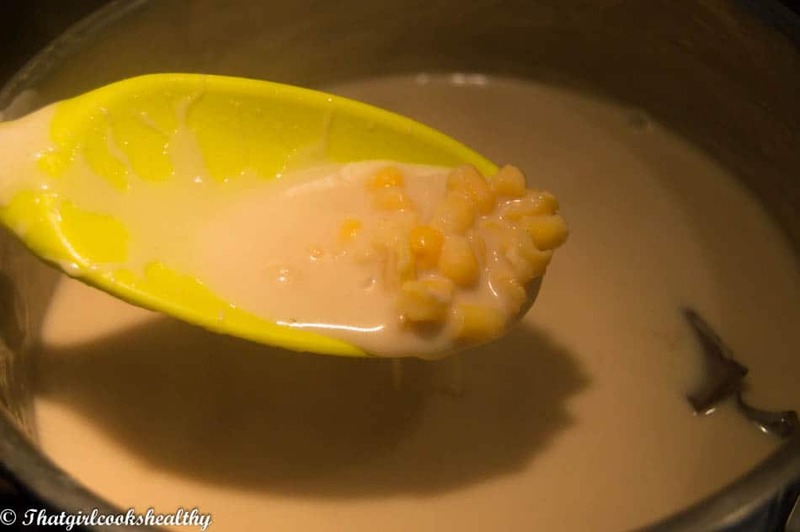 Check the saucepan frequently to ensure there is enough water, it should take almost an hour for the hominy to soften and there should be just enough water in the pan to cover the corn. Once cooked remove the saucepan from the stove then proceed to stir in the almond milk, condensed coconut milk and vanilla extract. Allow the chicheme to completely cool before refrigerating. This sounds amazing! 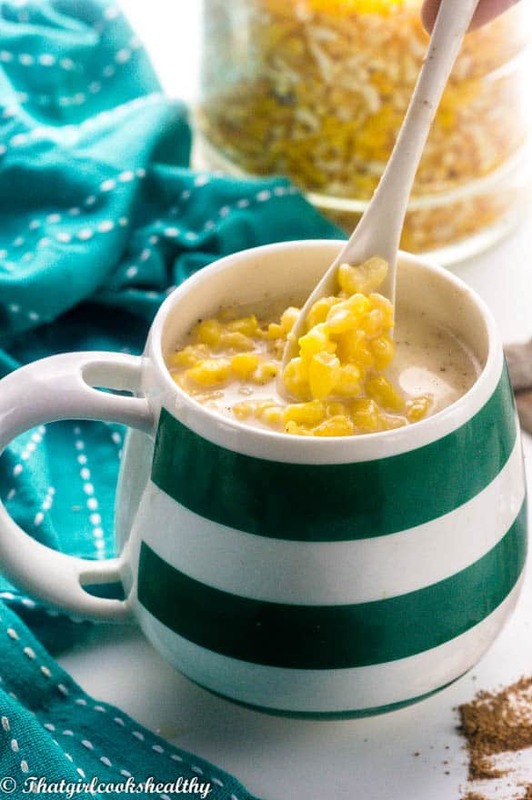 I’ve recently discovered just how healthy corn is so I’m planning on eating lots more of it and this is perfect! Yay! That’s what I like to hear Cliona. Wow I’ve never heard of a corn drink! This sounds like a really cool recipe! I never had this before nor heard of it. Can’t wait to give it a go! 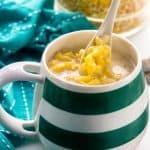 I am finding this recipe completely intriguing and simply can’t wait to give it a try! Looks so delicious! Thanks Sues. Yup! highly recommended for winter. You are welcome. The best place to find hominy would be in an multicultural region/city which has ethnic stores i.e Latino, Caribbean or Asian. Hi, I’m doing a Spanish project for school and will be making Chicheme ( hopefully) . I can’t seem to find dried hominy anywhere, is canned okay? Do i have to do something to it first? Please help- thanks! Hi Madeline. Canned should be fine but you would need to tweak the recipe a little as this recipe is specifically for the dry corn . Use 1 1/2 cups of water instead and boil the hominy for 20mins instead. Then add the almond milk, 2 cups should be enough along with the rest of the ingredients.